Joe never thought this type of event could happen in his lifetime. The country had gone dark with a catastrophic failure of the power grid. Rumors were spreading like crazy, but there was no way access any kind of accurate news. Although Joe fully believed in biblical prophecy, this was something he did not expect to see. He worried that there was something he had to have missed in the sequence of events with world affairs. The Pope made his announcement calling for one world New Order. News footage flashed across the television - pictures of military troops called out to calm the rioting crowd outside the White House. Joe had to pack his bags and catch his flight. He knew this would be his last chance to live where he always dreamed of living and now would be the time to go. After that awful argument last night, Lauren had left to spend the night at her sister's house. He didn't even know if she still wanted to come with him. For that matter, he didn't know if he still wanted her to come. At least, that's how he rationalized not risking missing his flight to try to find her. He compromised with a hastily scrawled note on the bathroom mirror. I always liked that color on her lips, he thought. Maybe I should go back and get her. The headlights went out and the car engine shut off. The blue Corolla coasted to a stop. The pitch black night lit up like an opening act of a Broadway show. Craning over the steering wheel, Joe looked skyward. A large disc shaped craft hovered overhead. Multi-colored lights flashed around the edge, barely discernible in the beam of white light that shone down on him. Joe recognized the Disco-Disc, his favorite of the hover night-clubs that had opened around town in the last two years. He was suddenly torn between whether to flee to southern Chile or to simply dance what might be the last night of his life away. After all, he considered, I could really use a martini. Joe rounded the corner of the Disco-Disc and parked his car in the heavily packed parking lot. With only one hour to spare, he knew he didn't have time for games. He sat fiddling with the car radio to tune in a station. Between the hisses and pops he found a station booming in an emergency alert with warnings of catastrophic events and danger along with mandatory precautions . As Joe looked up he noticed Lauren's silver Escape nestled among the other cars. "What in the hell is she doing here?" Joe mumbled to himself. From what Joe gathered from the radio, people across the globe were in mass hysteria. Apparently, an independent decision was made by the President of the United States. This can't be happening. Not in his lifetime. All the stories about some book called Revelation that he'd had to endure as a child every summer when he was visiting his Aunt Nancy couldn't really be true. Joe had spent his entire adulthood believing she had an undiagnosed mental illness. Tap, tap, tap. Joe jumped, jerking his head to the driver side window, startled. Tap, tap. The radio blared with breaking news. He could see a woman's knuckles, the sleeve of a black leather coat. As he opened the door, the woman took a step back. "Hi Joe," she said. "Your dome light is on, and you were leaning over. Are you okay?" Joe was stunned. He hadn't seen Emily for seven years. He heard sirens. Emily stared at him, waiting. She was alone. Maybe it ran in the family and nutty Auntie wasn't the only one. Is this a dream or what? Why is Emily alone when I just saw her in that mob of running people. All I had was questions. I'm headed to the first martini bar I see, so I can think. Funny, have I ever been able to think clearly after a martini? One martini, two martini, three martini, floor. "How about one more dance?" asked Emily. Joe looked up at her and smiled. Why not, he thought. 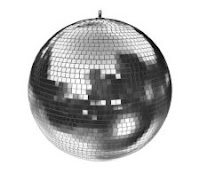 One more time before they ban disco forever. Grabbing his white polyester jacket and brushing off his bell-bottoms, he grabbed Emily's hand and headed to the elevator leading to the Disco-Disc. Thanks to Patricia Stoltey, Michelle Chartier, Dan Herrick, Dean Miller, Cassondra Windwalker Writes, Kari Becker, Pegge Erkeneff, and Cheryl Rennels.